Hello there!! I would like to share with you all two events that are taking place in the next couple of days. 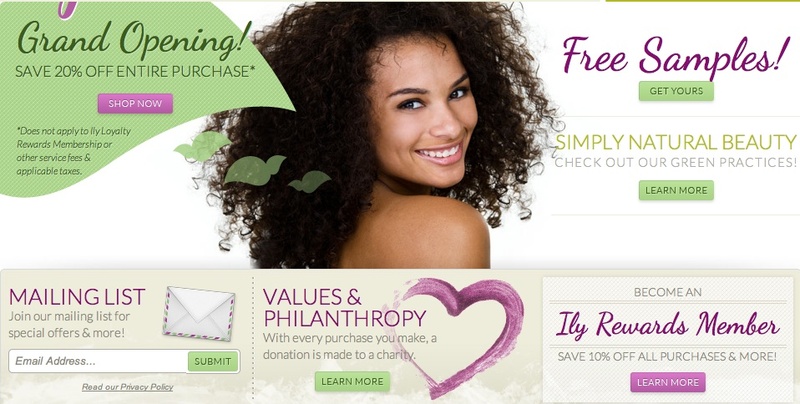 LaShannon Petit, Owner/Founder of Styling Purpose has partnered up with Healthy Meds Wellness Pharmacy, Purse Empowerment and Peter Pericles Productions to create The LOVE Affair. This event is a fashion show and mixer all in one! This past October I attended her first event which was a fashion show and I had a great time. I’m looking forward to attending this event on Sunday and I was also the winner of a free ticket to the event so that is always a plus! Thanks again LaShannon. Tickets are $5 in advance and $10 at the door. Tickets are available for purchase at Kreative Kreations which is located in 1814 NW 183rd Street Miami Gardens, FL 33056. For more information please click here and it will direct you to her Facebook page. I hope to see you there! If you are looking to switch up your hair style and try new products I highly suggest that you attend the launch party for Ily Beauty Products. 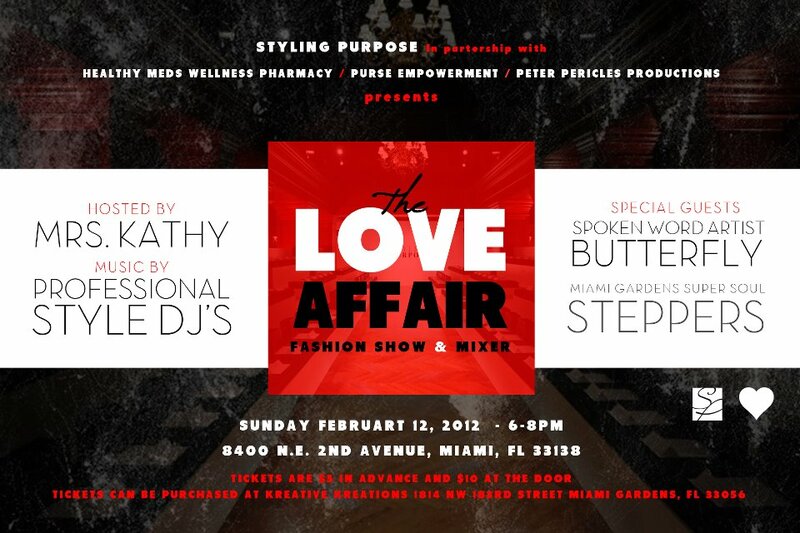 This event will take place on Monday, February 13, 2012 and will be held at MIA Lounge in Miami, Florida from 7pm-9pm. Entry is free in addition to an open bar and gift bags for guests. The address to the event is 20 Biscayne Blvd Miami, Fl 33132. By attending this event you will get a chance to meet a woman by the name of Shana Green, who provides consumers with products that will help to maintain healthy hair or help to repair it. For more information on Ily please click here and it will direct you to the companies Facebook page! I hope to see you there. *To RSVP to this event click here! Have a wonderful day loves and thanks for stopping by ✌.